We’ve all seen Grade-A movies about aliens invading earth down to the movies that are just so horrible, predictable and cliche that you still want to power through it just to ask yourself, “How’d this even get past the pre-production phase?” Well, Independence Day: Resurgence is closer to the latter unfortunately. Resurgence is pretty much the same plot like it’s 90’s predecessor with some minor tweaks and turns. Sort of like the unusually similar plot-mirroring details of The Force Awakens to A New Hope. In Resurgence, we are introduced to a more unified Earth and a humanity that has integrated the alien technology left behind from the War of 1996 to their own use and machinations. As a result they have significantly upgraded their military into a singular body called the Earth Space Defense, with a singular purpose of repelling alien invaders if such an event happens again. Leading the ESD is none other than David Levinson (Jeff Goldblum) from the first movie. After a series of peculiar energy surges and the arrival of an unknown alien visitor, the aliens from the first movie finally come back, bigger, stronger and meaner than ever. From there a unified Earth must once again fight for their lives on the Fourth of July once more. What set the first movie on track as a cultural icon and favorite among many people was due to its impressive visuals for its time and in particular, the scene where the White House is completely obliterated, which some called a technological achievement to do visually. This film set records, won a couple of Academy Awards and a Grammy; it literally set the stage for future sci-fi movies that would want to attempt the same initial concept and caliber. However it still was heavily panned from its cliche dialogue and rigid character development which had little to no protruding realism from the actors portraying them. 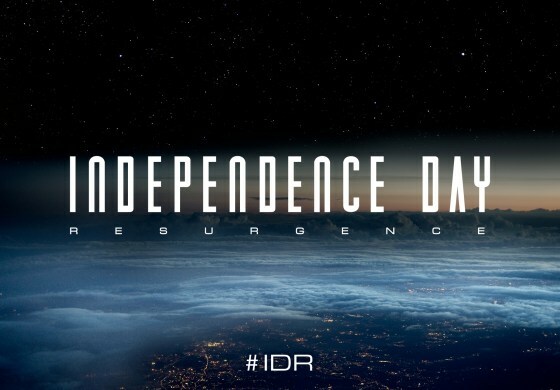 For Resurgence, even though you have a few actors returning from the first movie for continuity purposes and rising A-Lister’s filling the rest of the ranks, Independence Day: Resurgence is a sequel that should have never came to fruition and simply does not do any justice as a sequel to a predecessor that is so culturally significant. Did the first movie leave its horribly, unsatisfying ending scene open for a sequel? That’s really up for interpretation. With Resurgence, the film seemed immensely rushed and even seemed to mimic its ending scene in the same rushed, unsatisfying way. On the flip side the visuals were very impressive just like its predecessor; while not setting any type of records due to the now ever increasing technology in the film industry, everything from the alien mothership landing across the globe to the tiny details of the aliens themselves were visually stunning, which in a way helped carry the movie forward despite the horrid and unneeded dry humor that plagued the movie from start to finish. If you like cheap thrills mixed with excellent visuals yet plagued with bad dialogue and character development then Independence Day: Resurgence is right up your alley, otherwise just stick with the original.